www.jazzydanceco.com - Jazzy Dance Co. qualifies for the Worlds in Orlando, FL !!! 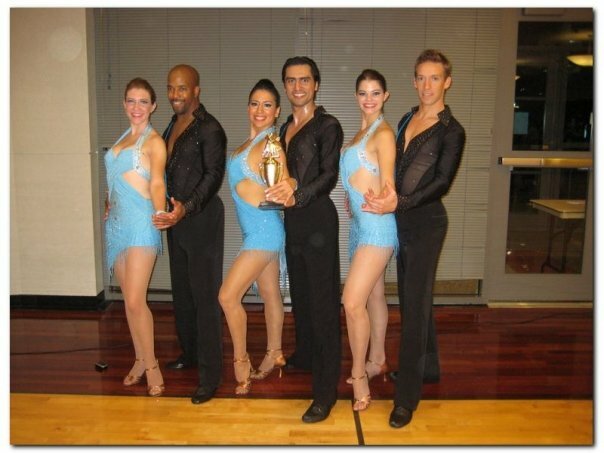 We want to thank all of you who came to Houston to support us during the Texas Salsa Open competition this past Sunday. We are so happy to report that Jazzy Dance Company qualified to compete in the Worlds in Orlando this coming December !!! This is truly a dream come true! If somebody had told us a year ago that we would place 3rd at the Puerto Rico Salsa Open in the team division and then qualify to go to the World Salsa Championships in Orlando, we would have laughed in disbelief ! It seemed an impossible goal to reach in only months ! Catie Sherry, Robert Booth, David Abril, and Barbara Lucke.